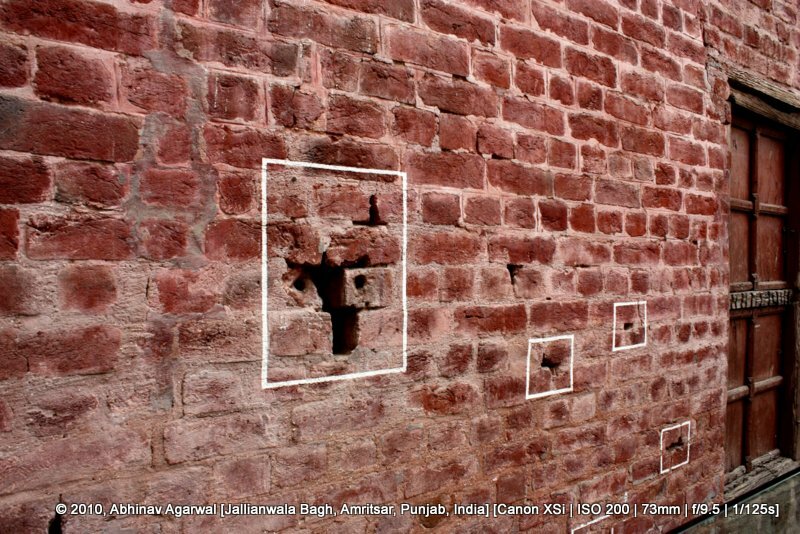 The Jallianwalla Bagh murders on the 13th of April, 1919 – on the holy day of Baisakhi, and a stone’s throw from Harmandir Sahib, the holy shrine of the Sikhs – were perhaps the second most brutal act by the British empire against the citizens of its Bharatiya colony in the twentieth century. The Bengal famine genocide, in which more than 3 million Bharatiyas were starved to death through a deliberate system of deprivation of food and denial of aid, comes at the top of the list, but since that genocide happened over a period of several years, it has still not been acknowledged as pre-meditated mass-murder. 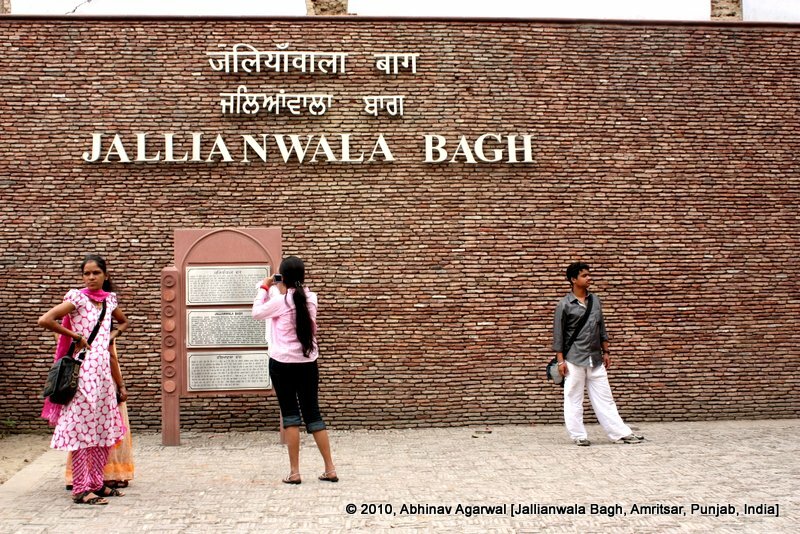 The Jallianwalla Bagh murders of over one thousand people, however, could not be glossed over. 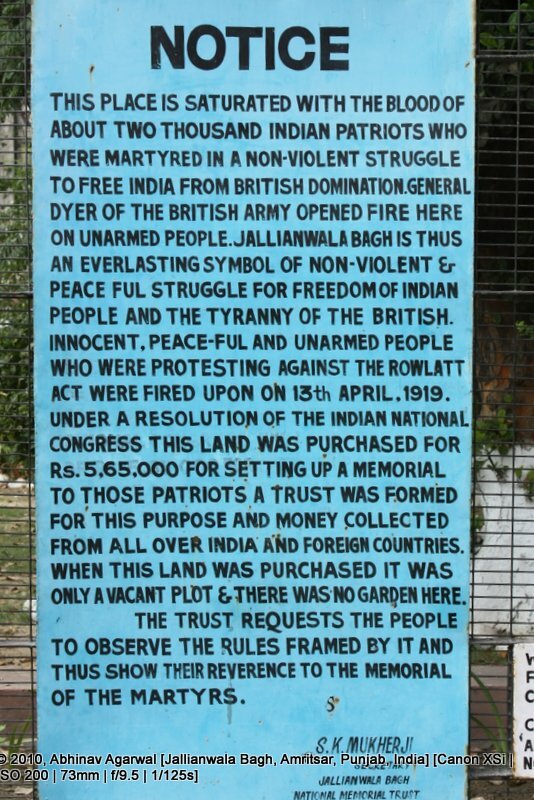 In a nutshell, what happened on April 13, 1919 (the Sikh new year) was this: Brigadier General Dyer entered the park that was Jallianwalla Bagh (in the holy Sikh city of Amritsar and a stone’s throw from the holiest Sikh shrine – Harmandir Sahib), with his soldiers, where a peaceful rally of close to ten thousand people had been taking place, and ordered his soldiers to shoot to kill at this mass of men, women, and children. For ten minutes the firing continued, and at the end of which a thousand people lay dead, and many more injured. Dyer then marched away, leaving the dying to die. He declared a curfew in the town that day, preventing any medical help from reaching the dying. Eventually, he was hailed as a “saviour” of the British Empire, a “hero”, and feted by the men and ladies of the Empire. 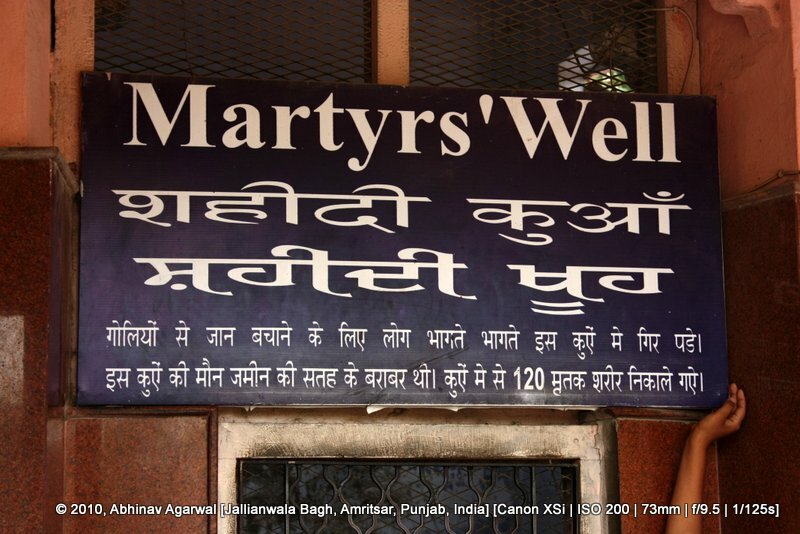 I have been wanting to write a post on the massacre at Jallianwalla Bagh in Amritsar on the 13th of April 1919, since April 2010 when I had visited Punjab and the holy city of Amritsar. However, things not posted then will get posted now. For this post I will rely on three sources. 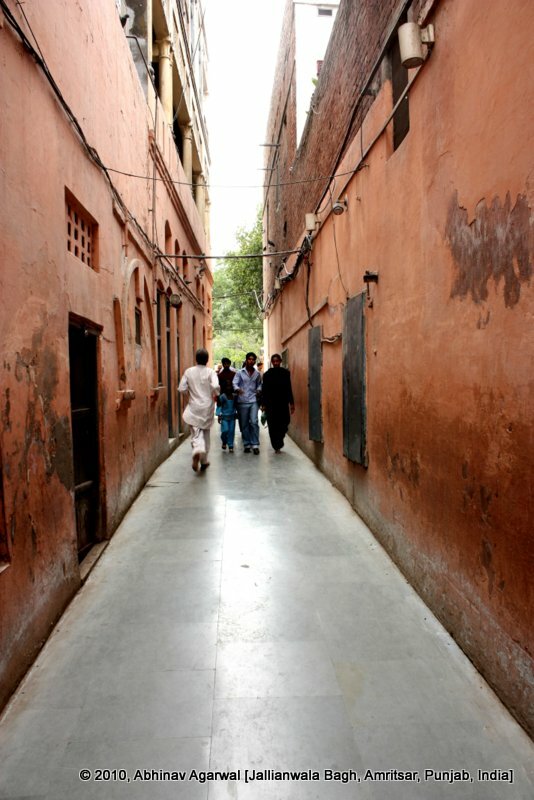 First, my own visit to Jallianwalla Bagh and the photos I took there. 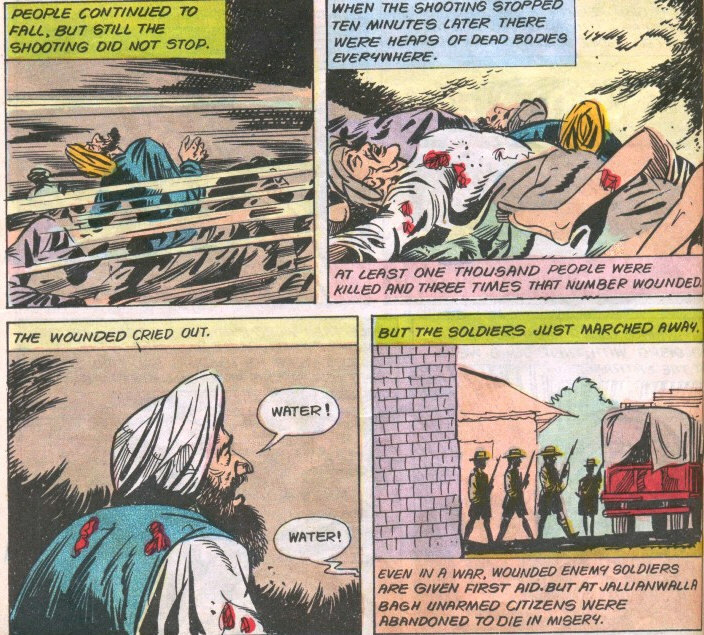 Second, the Amar Chitra Katha comic titled Jallianwalla Bagh. Third, Vol. 11 – “Struggle for Freedom” – of the fantabulous “History and Culture of the Indian People”, edited by the legendary historian, RC Mazumdar. I have also made a few visits to B.G. Horniman’s book, “Amritsar and Our Duty to India“. Horniman was a British journalist and editor of the Bombay Chronicle who published this book in 1920, a year after the Jallianwalla Bagh murders. 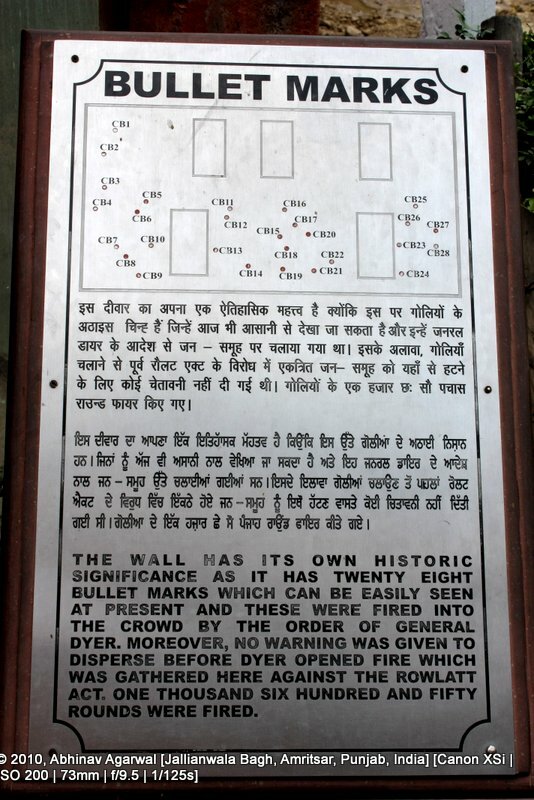 Without getting into the details of the events that led to the gory massacre of Bharatiyas at Jallianwalla Bagh, the most pertinent catalyst in the chain of events that led to that fateful day in Amritsar, a stone’s throw away from the holiest shrine of the Sikhs – Harmandir Sahib, aka “Golden Temple” – was the series of protests against the decidedly repressive Rowlatt Bill. The Sedition Committee – as the Rowlatt Committee was officially called – was formed by Lord Chelmsford (Viceroy) on December 10, 1917, and headed by Mr. Justice Rowlatt, “Judge of the King’s Bench Division of His Majesty’s Court of Justice“. This committee was set up in mortal fear of the revolutionary activities being perpetrated by freedom fighters in Bharat – “to investigate and report on the nature and extent of the criminal conspiracies connected with the revolutionary movement in India“, and more ominously, to “advise as to the legislation, if any, necessary to enable Government to deal effectively with them.” Note the language – no different from that used by various committees that are formed by our democratically elected governments and which lead to laws designed to suppress free speech – especially of the dissenting flavour – and to provide for harsh punitive measures against such dissenters (Section 66A of the Indian IT Act being a case in point in recent memory, though countless such laws have been enacted with no different philosophy). As a result of this Committee, two Bills were framed, one of which passed – the “Anarchical and Revolutionary Crimes Act, 1919“. The crux of this Act was that speedy trials were provided for, that could be held in camera, evidence that would not have been admissible under the Indian Evidence Act was allowed, and – there was no appeal from this Court. The “Provincial Government” was also given powers “to search a place and arrest a suspected person without warrant and keep him in confinement in ‘such place and under such conditions and restrictions as it may specify.’” These provisions basically “denied the protection of law to Indians” and the Bill was placed on the Statute Book on 21 March, 1919. Gandhi was prevented entry into Punjab. He was removed to Bombay, where mounted police charged upon a throng of people gathered to see him, crushing a large number of people. At Ahmedabad, more than 20 protesters were killed and more than a hundred were wounded in police firing. Basically, protests had erupted over the nation, and the British were more than equipped to crush them with bestial brutality. Gandhi however soon suspended the Satyagraha agitation – alarmed at the escalating levels of violence. Meanwhile, Sir Michael O’Dwyer, the Lieutenant-General of Punjab, had made an honourable name for the empire with a sustained campaign of brutality against the residents of Punjab. Not only were hundreds of people imprisoned, the local press gagged, but he forced people to give funds for the war and men for the war, by forcing “Lambardars (land-owners) to furnish recruits on the penalty of forfeiting their rights to the land.” The same General Dwyer would later enter “into an elaborate explanation of how, at a time when he was very busy receiving reports of disturbances, General Beynon pressed him for an expression of approval of General Dyer’s action” (of proclaiming Martial Law). Poor General. So many to oppress, so little time. Not everyone who was shot died. Even though a thousand men, women, elderly, and children died, several more were wounded. Like a good, honest, God-fearing person, it was not Dyer’s responsibility to tend to the wounded – “it was not his job, they might go to the hospital if they liked.” But it was his job to make sure that no help reached the wounded, the dying, the thirsty. Friends and relatives of those killed or wounded could not venture out to inquire about their loved ones’ fate. Those who knew could still not venture out to either take the dead to perform their last rites, nor tend to the wounded. Temperatures in the city of Amritsar in the month of April can near 38 °C, so the good General in effect made sure that even water would not reach those still left alive. Have to admit, a real man. First, it was Dyer who came up with the “crawling order.” No, it was not so named because the order made its way through the province in a “crawling” manner. No sirree bob, not by a long means. “By his orders, for several days, everyone passing through the street in which Miss Sherwood, the lady doctor, was assaulted, was ordered to crawl with belly to the ground. You don’t arrive at opinions without materials. What is the material on which you based your opinion? I want to have your position clear. You don’t want to answer the question? A. I have already said I don’t think it is desirable. Is it against the public interest? A. I don’t wish to answer this. May I know your reason? A. I don’t wish to give it to you. You don’t wish to answer the question and you don’t wish to give your reasons? You think this is the way in which to come here to assist the Committee? The Congress Committee submitted a unanimous report on 25 March 1920, while the report of the Hunter Committee was issued on 28 May, 1920, with “the five European members signing the Majority Report and the three Indian members, the Minority Report.” Here, the majority committee held that Dyer committed a grave error of judgment. Why? Because he fired without warning (firing after warning 10,000 unarmed people gathered peacefully would have been totally acceptable one supposes) and that he continued firing too long. Perhaps firing just a wee bit under five minutes may have sufficed? A few dissenting voices did arise from some Englishmen, with Mr Hyndman writing that “Our own atrocities stand almost on a level with the outrages committed by Germany in Belgium, France and Poland.” However, the overwhelming opinion was otherwise. Even the mildest of mild actions that was taken – “a mild censure of on Dyer and removed him from active service” – was “carried in the House of Commons only by a vote of 232 to 131.” The House of Lords was more loyal. It “passed a resolution by 129 votes to 89, deploring the removal of Dyer from army as unjust“. Dyer was regarded as “the saviour of the British Empire“. A fund for Dyer was launched by the Morning Post in London. 4. Wikipedia contributors, “B. G. Horniman,” Wikipedia, The Free Encyclopedia, http://en.wikipedia.org/w/index.php?title=B._G._Horniman&oldid=528210920 (accessed April 14, 2013).